This post is a little bit similar to my series of posts, Books that Make Me Want to Travel To..., except in reverse. My family and I recently spent some time in Copenhagen and now I really feel like I should have read up more on my Danish literature before we left. 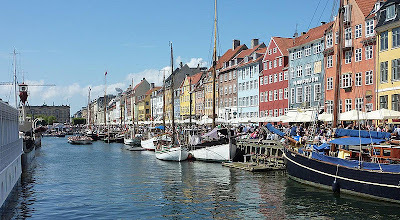 Bear with me, I still have a post that needs to be written about our time in Denmark, but for now, here is some of the literature that I have been inspired to read since my summer holiday in Copenhagen! I've had (multiple!) 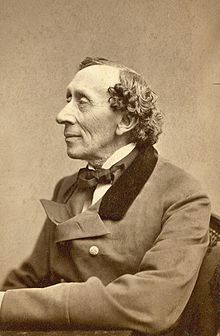 copies of Hans Christian Andersen's fairy tales in the house for years and years, and I don't think I've ever quite managed to read any of them. There was a ride that we went on in Tivoli Gardens which was a slow ride through some animated fairy tales attributed to Hans Christian Andersen, and obviously I'm familiar with a lot of the stories - The Little Mermaid, Thumbelina, The Ugly Duckling, The Snow Queen. So I really will do it now. I'm going to sit down (with the boys probably, and go through these fairy tales. See how very similar/different these stories are from what I think they are. I think it'll be fun. 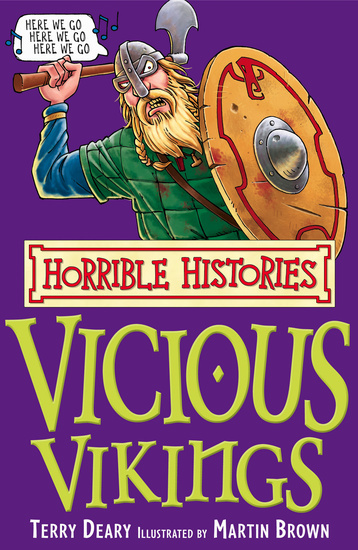 I did actually buy this book before the holiday, thinking that E and I could go through it a bit and discover the cool bits about Vikings before we went to the land of Vikings, but again, all my cool plans fell through. Still, E was most excited about what little we did learn about Vikings while we were there. He sat in a replica Viking longboat in the National Museum and actually seemed a little bit interested in some of the other museum artefacts. On his first trip to the library when we were home, he picked up (and read!) a book about Viking ships. I think they're cool, and now, so does he. Success! I'm not sure if I've mentioned this on the blog or if it was just Twitter/ Facebook, but ours is a household of collections. Lately, it's been the pop badges that you can collect at Legoland (our favourite place on earth! ), but it has also recently included collecting Lego mini-figures. I mostly think that this is really N collecting both of these 'on behalf of the boys' but they seem fairly interested as well. And while I may claim to stay out of both of the way of N and the boys collecting these things, I do have to admit that I actually really love it as well. What's not to love about Lego? It's endlessly entertaining and it is a fantastic and timeless toy. I love how the boys both learned their colours sorting through Lego blocks and how fascinated E seems to be with building more and more intricate buildings and things. So I picked up this Lego book and I'm interested enough in Lego to want to know more about the history of Lego. 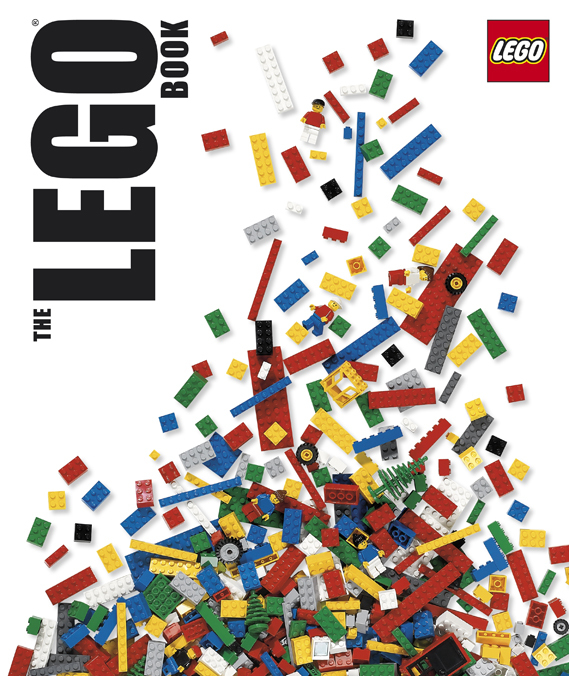 Besides Lego and Vikings, I do actually want to read a piece of work by a Danish author. 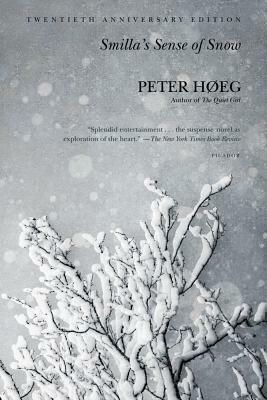 I've had Smilla's Sense of Snow by Peter Hoeg on my shelves for years, since before Fluttering Butterflies was primarily a YA book blog (back when I still read books written for adults!) and I'd heard good things about it. We obviously didn't see any of the Copenhange snow of which this book is mainly set, but I'm still curious about reading a translation of the book from Danish to English. I'm curious about the distinction between Danish and Greenlandic. I've heard a bit about the writing style being a bit distant. Crime/thrillers aren't my usual read, but I'd still love to give this one a chance. 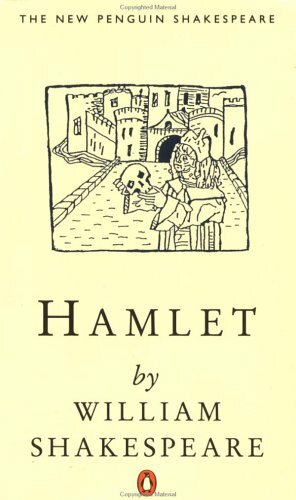 Do you know, I've never read Shakespeare's Hamlet. I've always meant to, but never have. In fact, I'm embarassed to admit that I know very little about the play at all. I'd heard while in Copenhagen that Hamlet is a prince of Denmark and I can't recall now if I knew that already or if that was something I learned new while I was out there. So perhaps my little trip abroad will inspire me to broaden my literary world to include this really famous play. Who knows? Denmark is also know for writers such as Karen Blixen and Soren Kierkegaard, but I'll have to save their books for another time! Have you ever been inspired to read literature from the places you have been on holiday?